We live in a fast changing world, and charting a winning course towards growth and success, necessitates that we envisage what the future holds. Hence, Veer-Chemie works untiringly towards developing innovative solutions for the healthcare problems of tomorrow. We undertake Research & Development on a continuous basis, not only to develop new products, but also to work towards enhancing our pre-existing product portfolio. Our product development is not just applied to the pharmaceutical industry, but also to the cosmetic, food and animal feed industries. A highly qualified team of specialists and research technicians work dedicatedly and sincerely to optimize our R&D efforts. To enable them to put in their best, Veer-Chemie provides a nurturing and supportive work environment. Furthermore, we have extensive domain expertise and state-of-the-art facilities to adeptly develop analytical methods for evaluating the quality of raw materials, intermediates and final products. 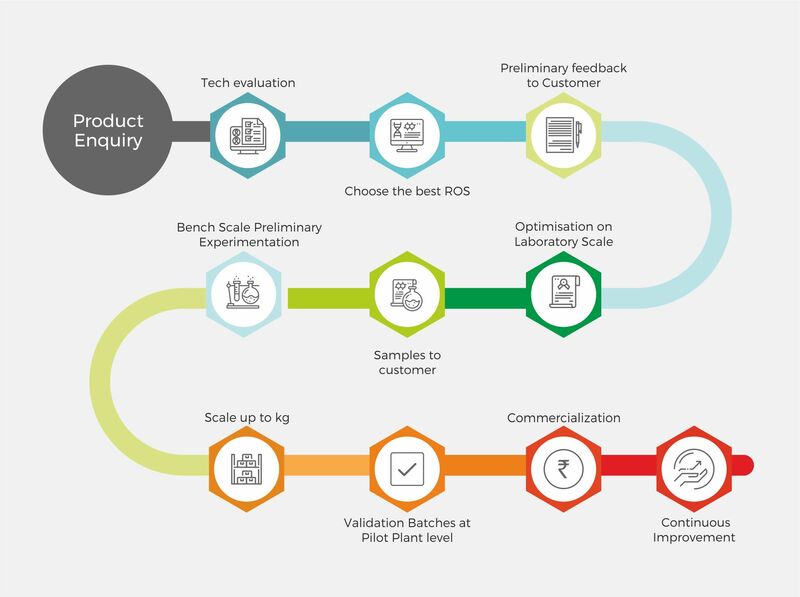 Scale up studies are conducted at our pilot plant. Our analytical research department is well equipped to conduct complete physical and chemical characterisation of APIs. All the R&D initiatives at Veer-Chemie are aimed at creating greater value for our customers. To this end, we’re constantly guided by a core strategy that seamlessly amalgamates innovation, quality and trust.